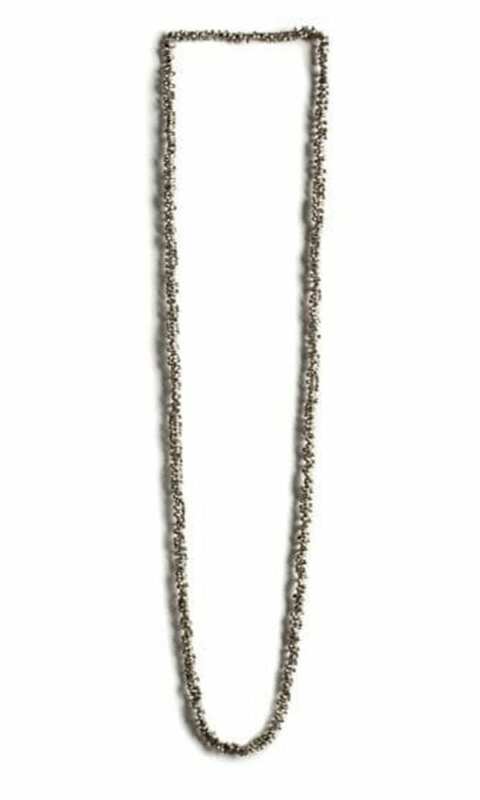 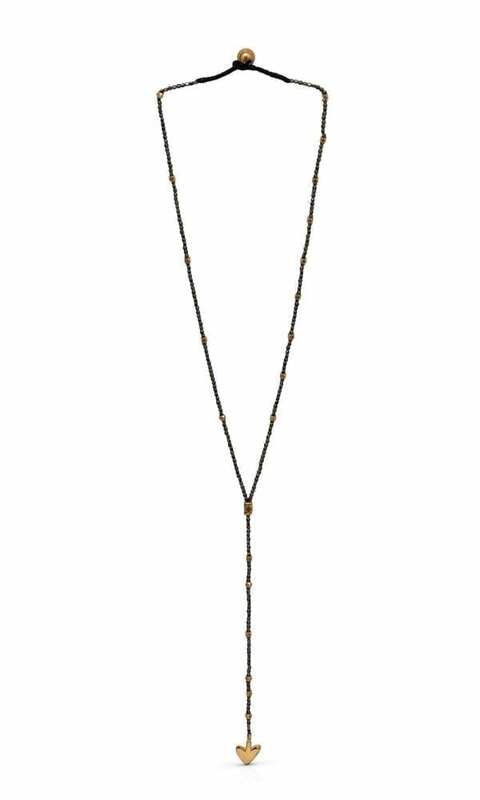 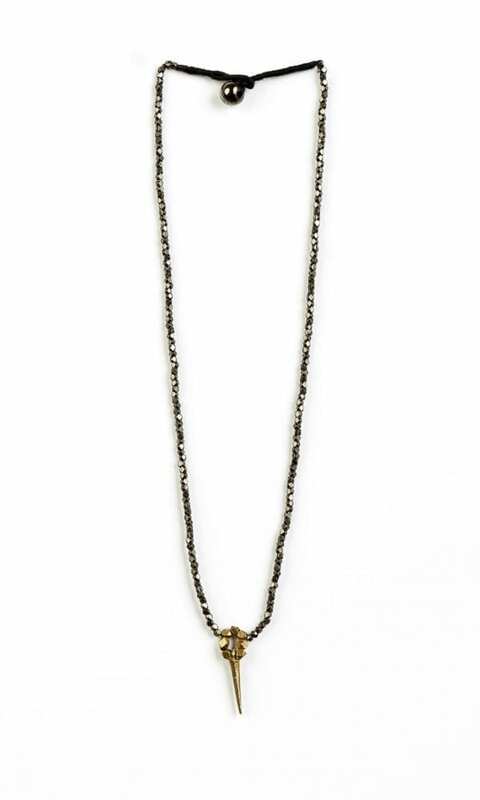 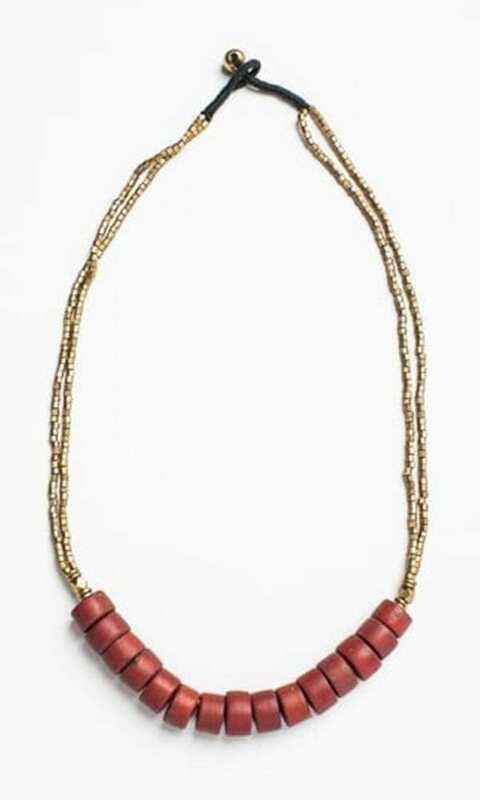 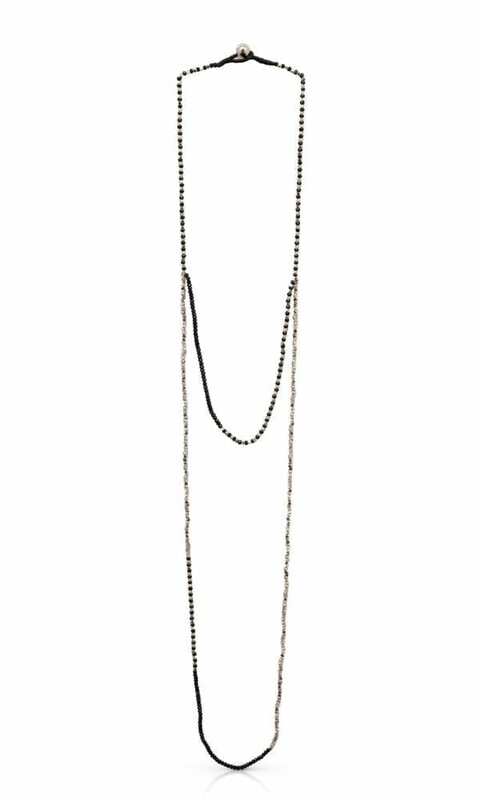 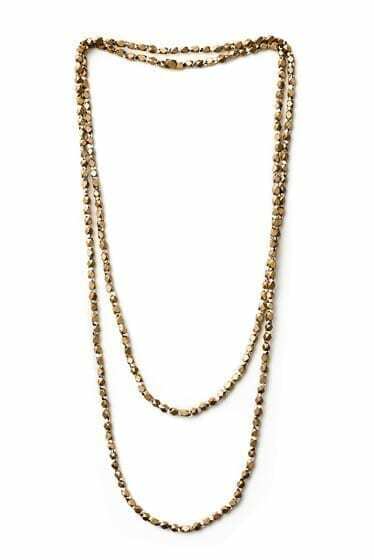 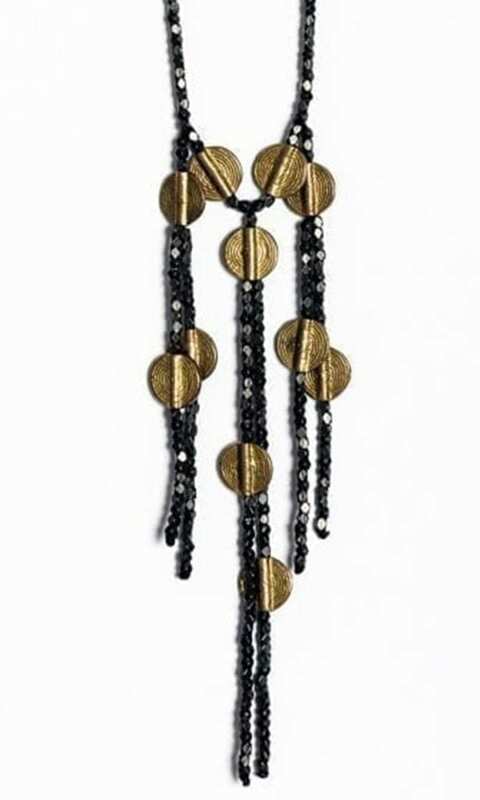 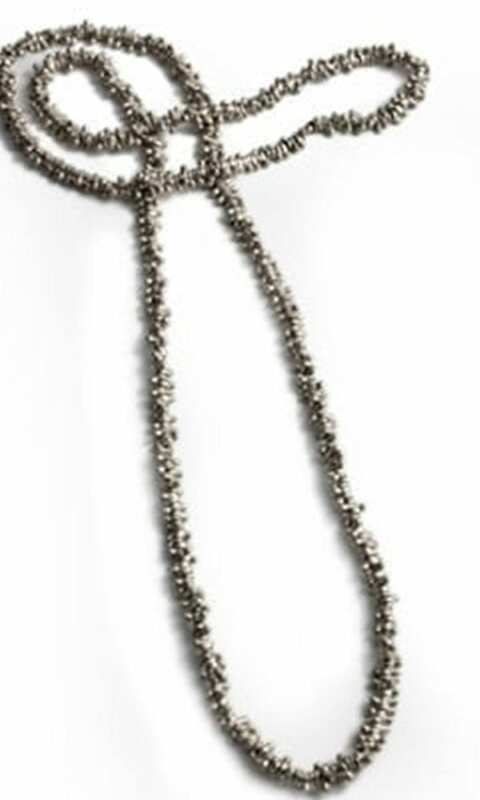 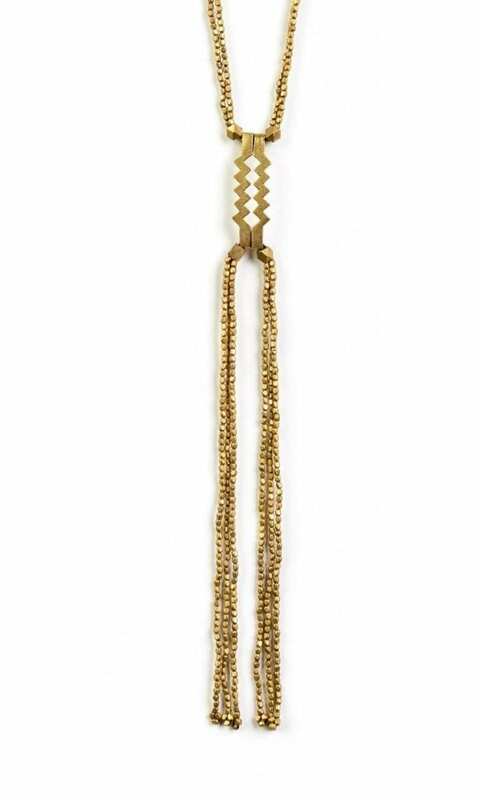 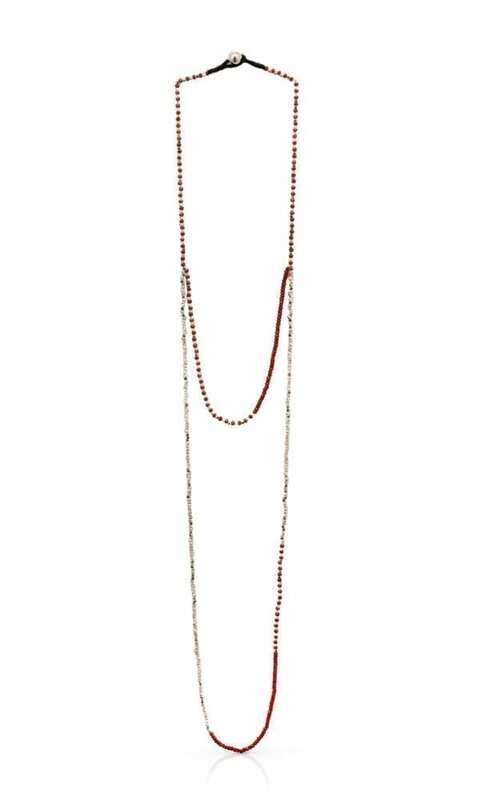 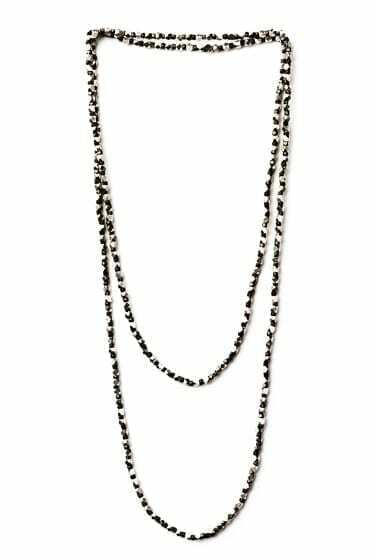 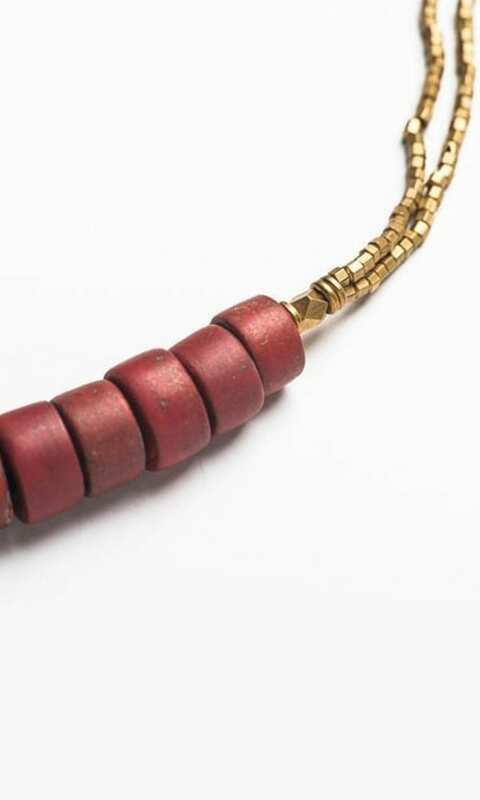 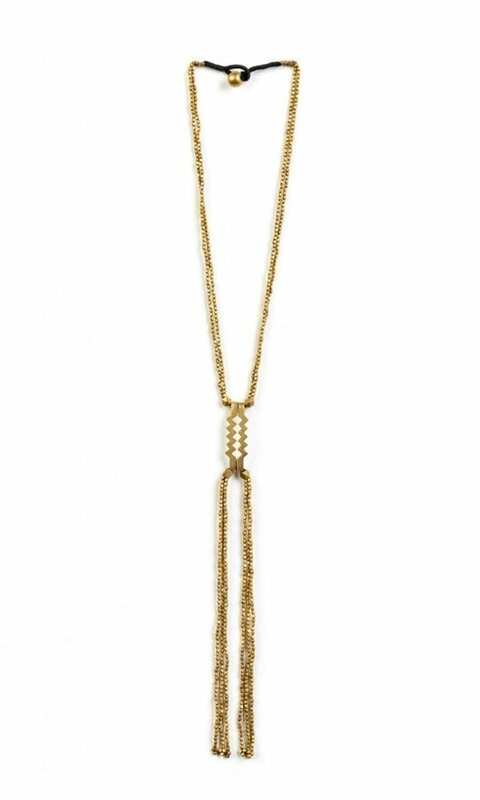 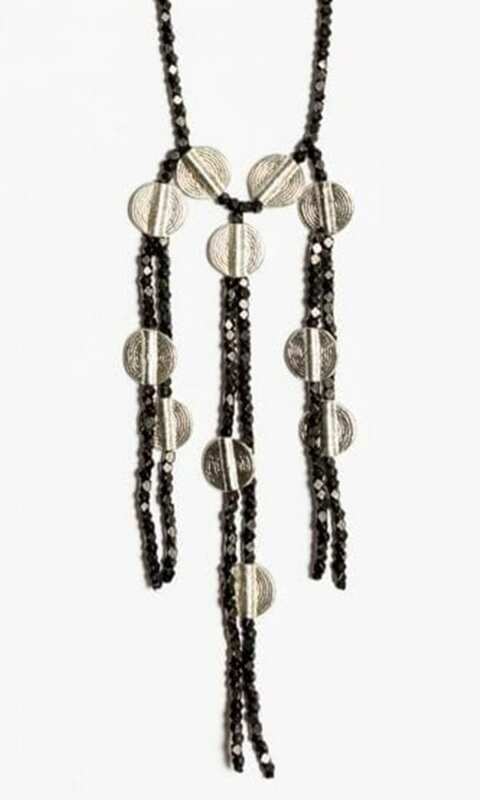 The Dani Necklace is a double-wrapped beaded necklace, a delicate and classic necklace made of small brass beads that you can wear all day. 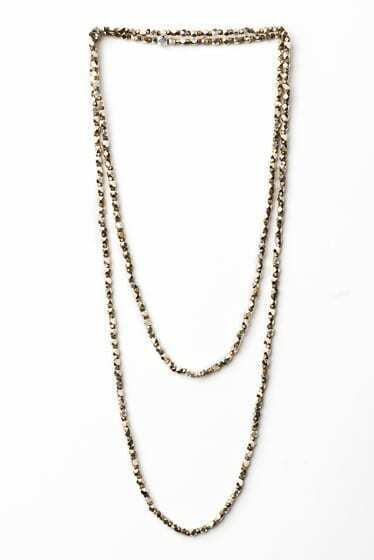 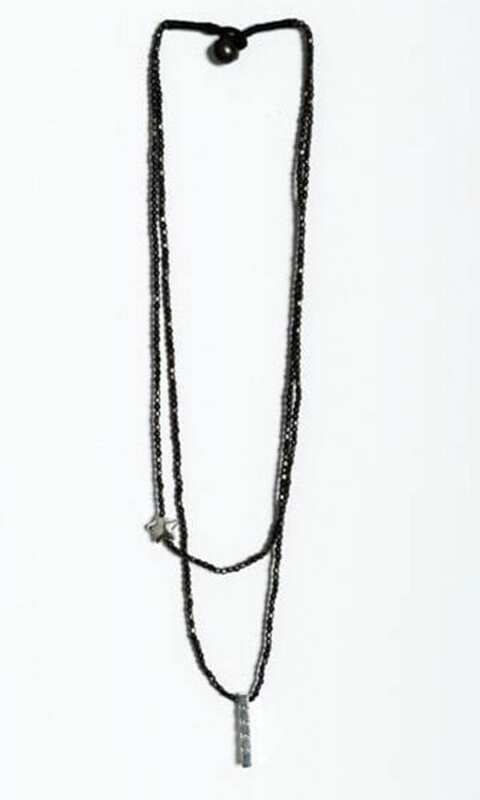 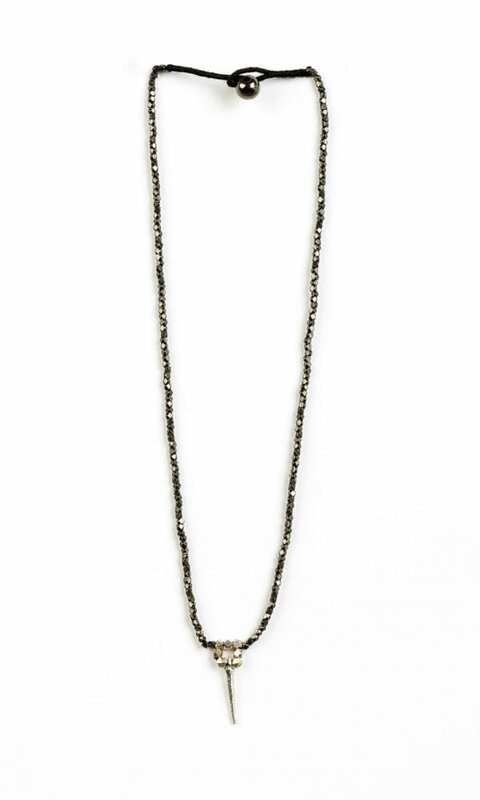 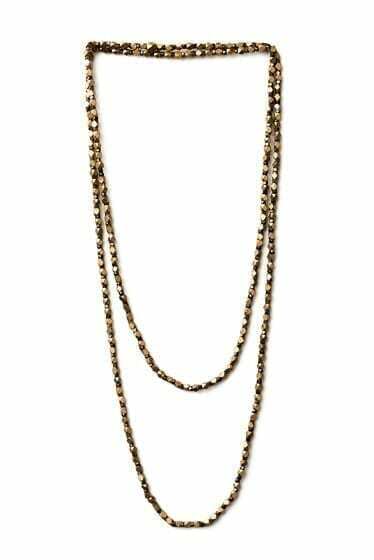 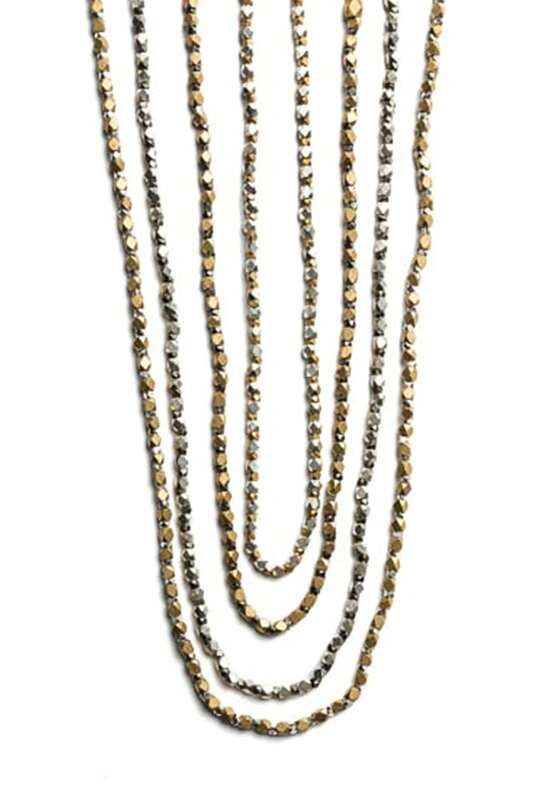 The Dani Necklace layers beautifully with similar styles. 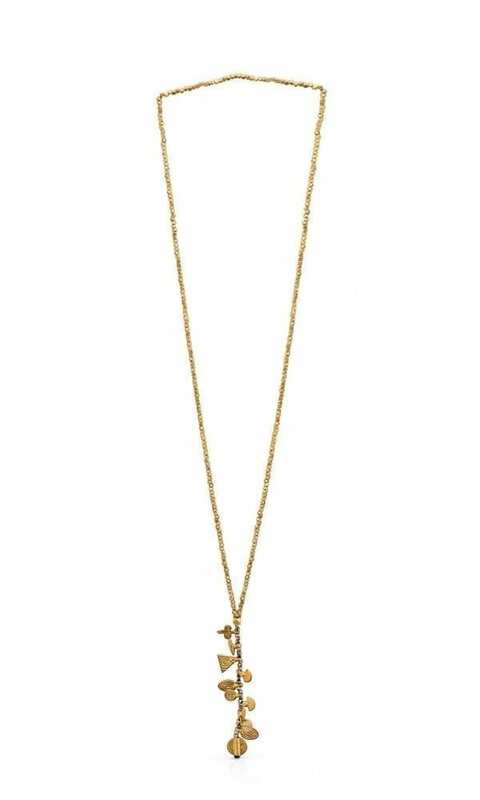 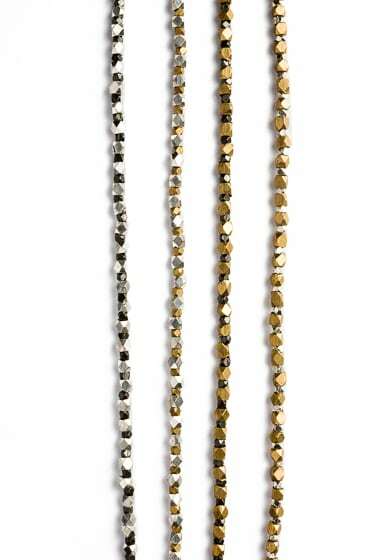 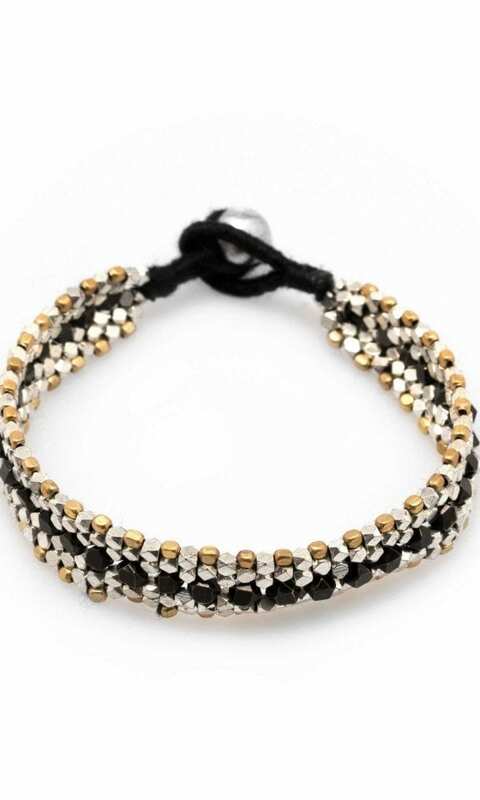 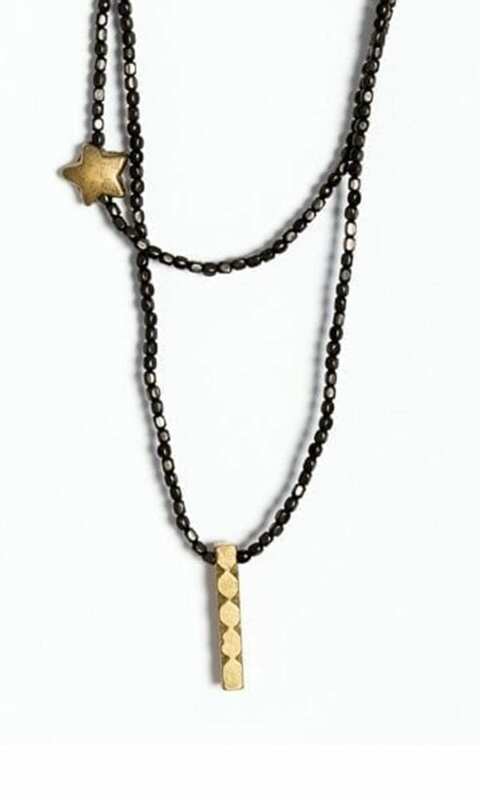 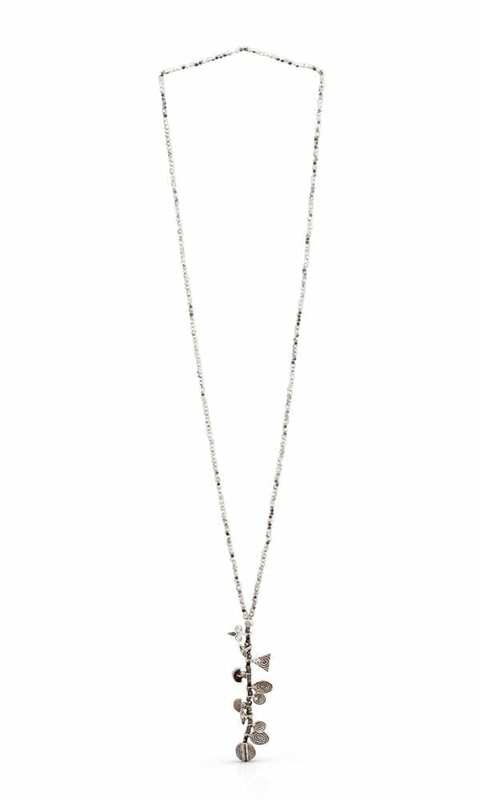 The Dani Necklace is available in four different color combinations: gold-tone and black plated, gold-tone and silver plated, silver plated and black plated, silver plated and gold-tone.